If you need delivery of fresh flowers Jacksonville Oregon and a great florist, you have found one that will take great care of you. Judy’s Central Point Florist is about 5 miles from Jacksonville Oregon and we deliver to this fine city every day, Monday through Saturday. Our in town delivery charge is just $9.99 and because Jacksonville Oregon is so BIG there will be additional delivery fees only when we need to deliver way out of town. There are currently no flower shops in the city for flowers Jacksonville Oregon. There are a few shops that offer flower delivery service though and Judy’s Central Point Florist is one of them. Judy’s Florist is a full service, family owned and local flower shop. Our family has owned this store since 1989 and we have been delivering flower to the Rogue Valley since 1980. For flowers Jacksonville Oregon we always have a large selection of fresh flowers on hand and ready for design. Spring flowers and colors are available just about every day of the year and we are also always ready for any current season. We offer many different design options that includes custom design down to the last stem. If you want to get ideas from years of customer favorites, please feel free to browse our amazing flower design selection on our website at www.judysflorist.com. In addition to flowers we have many gift ideas for you to order for pick up or delivery. We offer balloons, blooming plants, basket gardens, green plants, silk arrangements, chocolates, stuffed animals and more. All of these items can be ordered on their own or to include fresh flower designs. As a preferred florist for flowers Jacksonville Oregon, we are open Monday through Friday 9-5 and Saturdays we are open from 9-2. 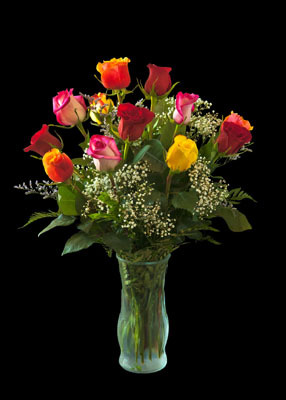 You can call us at 541-664-1878, toll free at 800-664-1878, order on our judysflorist.com website or stop in to see us at 337 E. Pine St. Central Point, Oregon anytime. Thank you for considering Judy’s Central Point Florist & Gifts for your flowers Jacksonville Oregon.